Special Frontier Force – The Fight for Freedom in Tibet: The military incursion by Communist China is only a symptom of an underlying disease. The real issue is that of military occupation of Tibet. The real remedy would be that of a Fight for Freedom in Tibet. 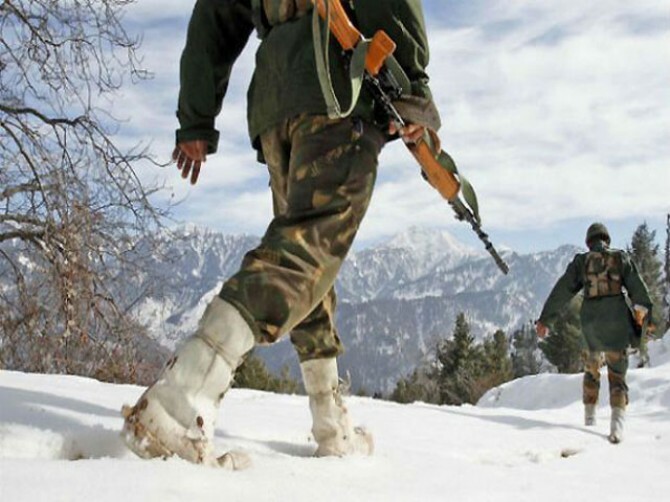 Special Frontier Force – The Fight for Freedom in Tibet: I would first expel all Chinese nationals from India before taking military action to expel members of People’s Liberation Army from Ladakh. 1. Expel all Chinese nationals from India. This task is easier and can be effectively implemented without firing a bullet and without any direct combat at the Himalayan frontier. 2. Cancel all visits, meetings, and diplomatic exchanges until China voluntarily withdraws its troops from Ladakh. 3. Reduce the size of China’s diplomatic staff and other support personnel present in India until China commits itself not to use its military power to discuss the boundary demarcation issue. 4. Insist upon the inclusion of Tibetan Government-in-Exile in any talks that concern the border between India, and Tibet. 03rd May 2013: Chinese military move seriously to test India’s resolve has been on the cards for a long time now. But, this is only a gambit by Beijing to see what level of provocation will get the Indian government to act, and a means to establish a baseline for future actions. Alas, the Chinese planners misjudged how much soft tissue there is in India’s China policy, and foreign and defence policies generally, where spine should be. From the first, the China Study Group (CSG) headed by the National Security Adviser and old China-hand, Shivshankar Menon, which fuels the Ministry of External Affairs’ thinking on the subject and dictates the government’s response whenever China heaves into view, decreed that the brazen armed intrusion be soft-pedalled. 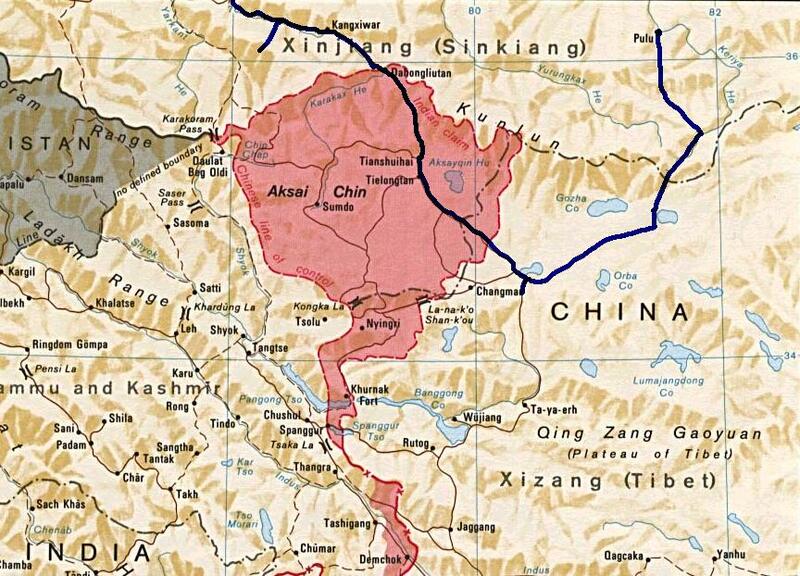 Thus, the depth of penetration in the Depsang Valley in Ladakh by People’s Liberation Army troops was initially stated as 8 km, before this figure was revised to 10 km and later 19 km. Now, 19 km is not a distance that small military units “stray across” as much as it is ground covered in a directed mission and yet, the junior minister in the Home Ministry managing the Chinese border with some miserable paramilitary maintained it was a mere “incursion”, not armed “intrusion”. By such hair-splitting is the Manmohan Singh government determined to do nothing? China, in the meantime, adopted its standard stance when disrupting peace on undemarcated land and sea borders. It refused to acknowledge there was any such intrusion. When the PLA presence at Raki Nullah could no longer be denied, it stood the incident on its head by accusing the Indian Army of “aggressive patrolling”, and followed up by offering a fantastical trade-off: India ceases construction of necessary border military infrastructure and mothballs the advanced landing fields in the area in return for the status quo ante. All the while, Beijing took its cues from excuses the MEA offered for the Chinese outrage, saying it arose from “differing perceptions” of where the LAC lay. The MEA minister, Salman Khurshid, revealing his cosmetological skills, then referred to the Chinese ingress as acne that can be cured with “ointment”. With the offensively disposed Chinese military units inside Indian territory, it was again the CSG-MEA that offered Beijing a reason to stay put, saying the Chinese should be provided a “face-saving” way out of the mess they created by repairing to the negotiating table, whereupon the Chinese government promptly called for talks to restore peace. It is little wonder China sees India as a punching bag, an easy target to bully and badger. The conclusion cannot any longer be avoided that either the China Study Group constitutes a Chinese fifth column at the heart of the Indian government, or is staffed by idiot savants. The classic illustration of an idiot savant is a mentally challenged person who can memorize the numbers on the wagons in a freight train rattling past his house, but does not know how to tie his shoelaces or, in this case, can read Confucius’ Analects in the original but is unable to see a straightforward land-grab for what it is — loss of national territory. The mostly Mandarin-speaking diplomats and experts in CSG seem so overawed by China they cannot resist acting as Beijing’s B Team. At heart, the problem is that the 1962 war so institutionally rattled the MEA they still act groggy from that blow fifty years after the event and cannot recall just how military success was gained against the Chinese PLA, most recently in the 1986 Somdurong Chu incident. Having espied a PLA unit on the Indian side of LAC, General K. Sundarji airlifted troops, surrounded the Chinese encampment, placed artillery on the nearby heights ready to reduce the Chinese position to rubble, and tented a unit just 10 metres from the Chinese camp (not 500 metres as was bandied about in official circles). It was an initiative, incidentally, the then army chief took disregarding procedure and not consulting the MEA or anyone else in government, hence its success. It unnerved the Chinese who sued for peace. In contrast, the present army chief, General Bikram Singh who, by repeatedly parroting the government assertion over the past year that China poses no threat and all’s well on that front, in fact, preempted any action that Headquarters Northern Army or Leh-based 14 Corps could have instantly taken to vacate the presence of the Chinese troops, and imposed costs on PLA for this little adventure. But subordinate commanders taking their cue from the chief did nothing. The Prime Minister then compounded the trouble by reiterating the MEA-CSG line that this is but a “localised” incident. Nineteen days into this affair, General Bikram reportedly briefed the Cabinet Committee on Security about prospective actions, such as severing supply links, etc. Except, has he planned on what he’ll do when PLA helicopters or logistics truck convoys turn up to replenish the food and water stocks? Shoot down the ’çopters and destroy the trucks. Fine. Then, is the army prepared for a bigger fight? 14 Corps can mount a divisional-level action easily, but will require immediate airlifting of another division as reserve. Moreover, half a brigade’s worth of army units should forthwith descend on the PLA-occupied site, raze their camp, and physically push the PLA soldiers back on to their side, and no-nonsense about it. If this is not done, a permanent realignment of LAC is on the cards in this strategically important tri-junction area. Much worse, instead of showing self-respect and brio, and making the new Chinese premier Li Keqiang’s proposed Delhi visit in end-May conditional on immediate PLA pullback, Khurshid is planning to fly to Beijing to ensure Li keeps his date in Delhi and to ask the Chinese to withdraw, pretty please! It is as if China is the aggrieved party and needs placation. Appeasement never pays; it only emboldens belligerent states to become more demanding. China has proved this time and again, but it is doubtful the CSG-MEA and the Indian government even know what the national interest is, or where it lies.